Presentation for this meeting: Historian and author John Laurence Busch will attempt to re-calibrate your mind before showing why the proposition of making the first crossing of the Atlantic Ocean on a ''steamship'' was met with a mixture of skepticism and fear. Then he will show how Captain Rogers addressed those fears, as well as the challenge of corrosion, by designing a new kind of steam vessel, capable of overcoming the dangers of the deep. Dinner and two drinks will be provided at a cost of $40 for members or $50 for non-members. If you plan to attend, please RSVP to Cortney at ccrane@exponent.com by May 1st, 2019. With the rise of global energy issues, the energy policy proposed by the domestic government is also aimed at giving priority to the promotion of solar energy facilities such as offshore wind power and water/salt land. The current domestic solar energy deployment is expanding towards coastal/salt land/water environment. Offshore wind power construction has been carried out, but coastal/offshore green energy facilities will be exposed to various harsh environments, such as strong winds, ultraviolet radiation, temperature differences, rainwater, etc., especially offshore wind turbines, which can be expected for a long time. Due to the impact of moisture, salt spray and waves, complex Tribocorrosion corrosion problems occur. In addition to affecting safety of solar energy and wind turbine structure, how to ensure normal operation during the service life period is the basis for initial electricity price calculation. If the service life is shortened, it will seriously affect the stability of domestic green energy price. Therefore, high corrosion protection and surface treatment are Necessary procedures that are indispensable. 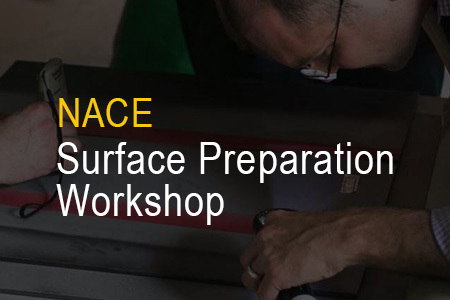 The NACE Surface Preparation Workshop will educate attendees on the importance of surface preparation for any coatings jobs. This one-day workshop is bringing together leaders from across the Gulf Coast, to share their experience on topics that include surface cleaning and finishing, abrasive types and blasting methods, surface preparation and testing equipment and health and safety. Designed to help you and your company prevent corrosion stress cracking in H2S containing oil production environments, NACE International’s MR0175/ISO 15156 standard the most popular and referenced standard for cracking prevention through the use of material selection. This one-day seminar will help you to better understand how the standard can be implemented to improve the quality of your company’s assets and what you can do to comply with the standard in order to avoid costly equipment failures, minimize the health and safety risk to the public, personnel, and the environment and increase your business opportunities. The course will be held on at Asian side of Istanbul. This course is being hosted by Rina Turkey. Register for this course by contacting Mr. Can Balkir at Rina Turkey by phone: +90 538 394 66 12, or e-mail: can.balkir@rina.org. Contact Rina Turkey for information on course fees. Discover solutions to corrosion issues and challenges facing your area from local industry leaders. The Bring on the Heat China 2019 will be held on August 13-16 in Suzhou, Jiangsu, China. This year, the conference continues its concern and particularly discusses the Linings, Fire protection, CUI and HT resistance, etc. In addition, attention will be focused on the corrosion control in Ocean Engineering and Petroleum Refinery industry. 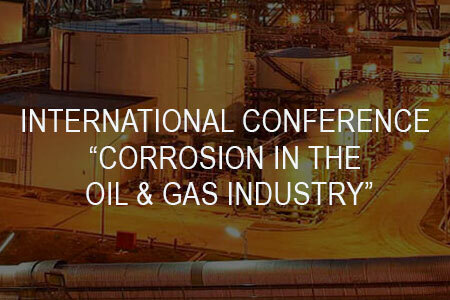 BOTH China 2019 is jointly organized by NACE International and CNOOC Changzhou Paint and Coatings Industry Research Institute Co., Ltd. with its purpose of enhancing the domestic and international networking, providing solutions to industrial challenges and further increasing the awareness of corrosion control. CORCON, the annual conference and expo on corrosion science and engineering held in India, is the largest event of its kind in Asia, attracting participation from academic and research institutions, public and private sector organizations including defense establishments and professionals. This event offers an excellent platform for exchange of information on matters concerning corrosion, learning about existing and upcoming products and technologies and networking. With Mexico and Latin America’s state-owned oil industry transitioning to a private/government business relationship, many are seeking a deeper understanding of pipeline integrity to increase safety and service, protect the environmental, and maximize profits from the distribution of oil, gas and refined hydrocarbons. This NACE event provides the forum for those in this industry and region to meet with pipeline operators and integrity service provider leaders from all over the world to advance their knowledge in corrosion mitigation. 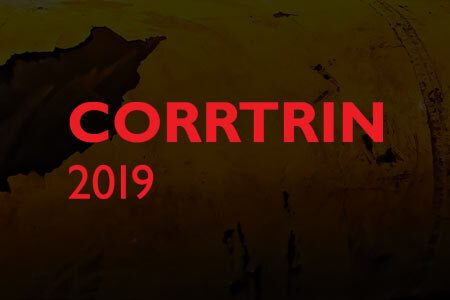 With 13 topics covered, this conference offers a comprehensive look at corrosion issues across multiple industries challenging the East Asia Pacific area markets. NACE West Asia & Africa Area and American Welding Society Saudi Arabia Section are proud to organize the second Materials Performance and Welding Technologies Conference and Exhibition in Saudi Arabia. The two organizations are joining forces emulating the past success by providing industry access to the latest technologies related to corrosion control and welding. NACE International’s CORROSION Conference & Expo is the world’s largest event for the prevention and mitigation of corrosion. As industry’s most significant event, it welcomes more than 6,000 corrosion professionals from around the globe each year. This comprehensive technical conference is packed with infinite opportunities to exchange knowledge and connect with the entire corrosion-fighting continuum: scientists and researchers, engineers and technicians, coatings inspectors and contractors, educators and students, business executives and owners — all focused on the study, prevention, and control of corrosion. 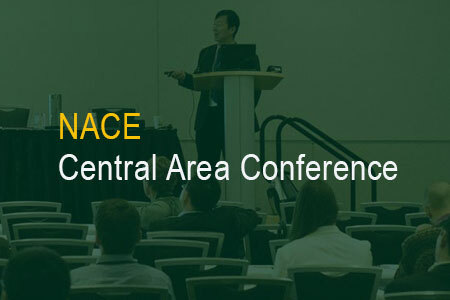 NACE joins forces with ASM International and the Ceramic Industry to deliver this unique event, which promises a conference/exposition that will provide the latest technologies for advanced materials, their related applications, processes, economics and environmental effects. It does this by uniting different market segments that cross the entire materials world with content on these hot topic areas: Renewable Energy Challenges for Power & Transportation; Sustainability for the Future; Materials and Processes for Automation; Additive Manufacturing; and Digital Revolution & Informatics.